The R.I.P. Challenge (1 September to 31 October), hosted by Estella’s Revenge ended a few days ago. 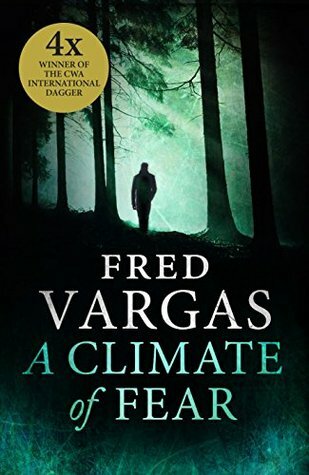 A Climate of Fear by Fred Vargas (see below*), translated from the French by Siân Reynolds, is her 9th Commissaire Adamsberg book. The ‘tangled knot‘ is most confusing to begin with, made up of a woman found bleeding to death in her bath, having apparently committed suicide, a strange symbol that appears at subsequent death scenes, a secretive society studying and re-enacting scenes from the French Revolution, and two deaths ten years earlier on an isolated island off the coast of Iceland, where the afturganga, the demon who owns the island summons people to their death. As in earlier books, Fred Vargas brings in elements of the supernatural, of folk tales, myths and legends, all of which is fascinating and intricately woven into the murder mystery. I loved all of it, especially the tense and fraught relationship that developed between Adamsberg and his team as they became increasingly unable to follow Adamsberg’s line of thought. I also enjoyed reading the details about Robespierre and the part he played in the French Revolution during the Reign of Terror, plus the little quirky details such as those about the cat who sleeps on the photocopier and the tame wild boar that guards one of the characters. All in all, a brilliant book. * Fred Vargas is the pseudonym of the French historian, archaeologist and writer Frédérique Audoin-Rouzeau. It’s that time of year for the R.I.P. Challenge (1 September to 31 October), hosted by Estella’s Revenge, the aim being to read books in the categories of Mystery, Suspense, Thriller, Dark Fantasy, Gothic, Horror, and Supernatural. I wasn’t going to join in this year as I’ve been cutting back on the number of challenges. But the emphasis in R.I.P. is not on the word ‘challenge’, instead it is about coming together as a community and embracing the autumnal mood. 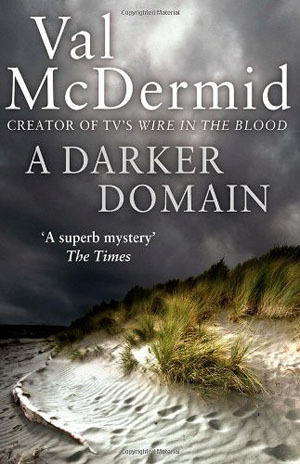 I’ve also realised that the book I’m currently reading is one that easily fits into more than one of those categories. It’s The Taxidermist’s Daughter. 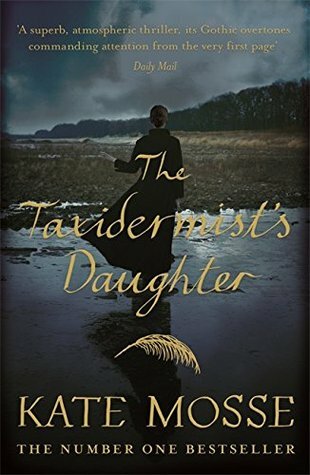 It’s set in 1912 in the Sussex salt marshes and is full of mystery, suspense with Gothic overtones and a menacing atmosphere. In the next few weeks I’ll probably read a few more books that fit into the categories. 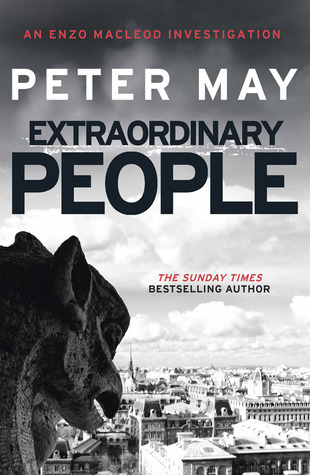 Looking at some of my TBRs I have Extraordinary People by Peter May (another book I’ve just started to read), The Blood Doctor by Barbara Vine, and The Tree of Hands by Ruth Rendell, to name but three. So, I’ve decided that I shall join in, and for the time being I’ll be participating at the level of Peril the Third, which involves reading at least one book from the above categories. If I read more than I’ll move on to Peril the First, which involves reading at least four books from the above categories. Accidents Happen is one of my TBR e-books that I’ve had for a couple of years. It’s described as a ‘gripping psychological thriller where one woman’s streak of bad luck may be something far more sinister’, so I thought it would be just the right sort of book to read for this year’s R.eaders I.mbibing P.eril XI. It begins well with a strange, scary episode about a child waking up to the sight of something slithering, full of threat, not sure what it was but terrified as it was angry with a gaping mouth revealing a tiny white spot, where the poison came from. Episodes like this are interspersed between the chapters of the story, each one more terrifying than the rest. These are actually much more scary than the main story, which is about Kate, a widow and her young son Jack. Kate Parker has had so much bad luck in her life, she’s convinced she’s cursed. But when she tries to do her best to keep herself and her son safe, people tell her she’s being anxious and obsessive. Just when her life starts to spin completely out of control, an Oxford professor she meets offers to help. But his methods are not conventional. If she wants to live her life again, he will expect her to take risks. When a mysterious neighbour starts to take more than a passing interest in her, Kate tries to stay rational and ignore it. Maybe this, however, is the one time Kate should be worried. Kate’s husband had died 5 years before the book starts and Kate is obsessed with statistics, so much so that they are now ruling her life – statistics about all the things that go wrong, or could go wrong. And this is preventing her from living a normal life – the lengths she goes to are extreme and they are affecting her Jack, her son. As readers we know that some of Kate’s fears are real, but she doesn’t focus on those, although they do bother her. I began to feel something was wrong. And when she met Jago, an Oxford professor my feelings intensified – there was definitely something suspicious going on. Why was he getting her to take such risks and putting herself into such strange situations? At first I was enjoying this book – it’s very readable, although the concentration on Kate’s fears got a bit repetitive – but increasingly as I read on I just couldn’t believe what was happening. For me the tension that had been building up just disappeared. I didn’t think it was plausible and I couldn’t suspend my disbelief. I think I’m in the minority about this book as it has more favourable reviews on both Amazon and Goodreads. Reading Challenges: Mount TBR Reading Challenge and R.eaders I.mbibing P.eril XI.